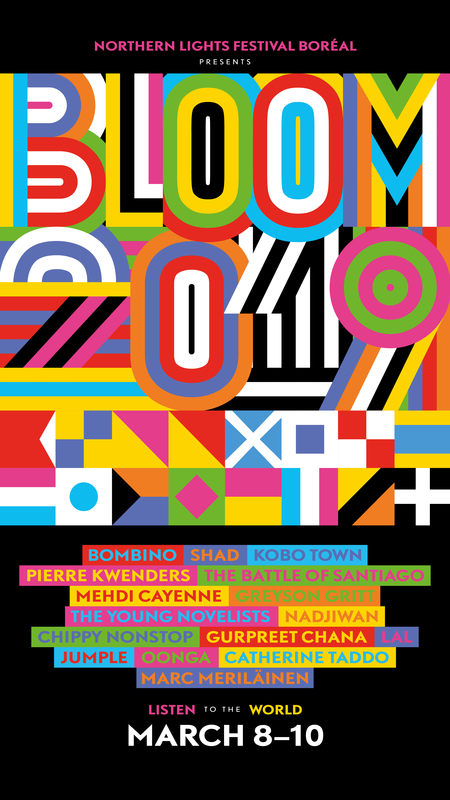 Bloom 2019 is a new multi-venue music festival, set for March 8-10 in downtown Sudbury. It is organized by the team that presents the annual Northern Lights Festival Boréal, one of the country’s longest running. The programming features an exciting blend of music styles, with roots all around the world. Northern Lights Festival Boréal has already announced West African guitar hero Bombino as a headliner. Since the last announcement, he has become the first Nigerien artist to be Grammy nominated. Just another of many reasons to check out his infectious Tuareg desert blues-rock-groove. Juno nominated hip-hop innovator Shad was also announced as a co-headliner. Both will play The Grand on March 8th, along with The Battle of Santiago. Concert tickets are now available. 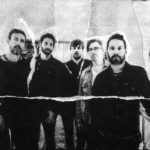 2018 Juno winners Kobo Town will join the lineup. They create an infectious blend of witty social commentary, calypso, dancehall reggae and trombone-heavy brass. Fronted by émigré Trinidadian songwriter Drew Gonsalves, Kobo Town have been a repeat favourite at NLFB’s summer festival. Afro-Canadian singer/songwriter Pierre Kwenders will also perform. While Pierre’s music ranges from icy R&B to futuristic hip-hop, his style is rooted in Congolese rumba, the ubiquitous sound of The Democratic Republic of Congo. Ottawa’s Mehdi Cayenne has an impressive repertoire of post-punk songs that blend world, pop, folk rock and funk in his very particular way. His lyrical (and often theatrical) brand of francophone rock has already blown away Sudbury crowds, and Bloom 2019 is thrilled to welcome him back to the Nickel City. Award winning First Nations rock band NADJIWAN will also perform, celebrating 25 years together. One of Canada’s most sought after tabla players, Gurpreet Chana, blends the time honoured sound of the tabla drum, with the infinite possibilities of modern electronic music. Greyson Gritt, subarctic folk-blues musician and member of Juno Award winning group Quantum Tangle, joins the line-up from Yellowknife, Northwest Territories. Marie’s Catherine Taddo will bring her distinct take on the blues. Toronto collective LAL blends South-Asian roots, West Indian fruits, melancholic vocals and downtempo electro grooves. LAL was a crowd favourite at Sudbury’s Up Here festival in recent years. 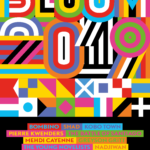 Bloom 2019 also has a couple of the country’s most progressive DJs, spinning music from around the world. Toronto’s Chippy Nonstop and Montreal’s Oonga will light up the dancefloor with beats drawing from Latin America, Africa, the Caribbean, India, and beyond. A schedule of show times has now been released, and a few more artists will be announced in the coming weeks. Bloom 2019 is thrilled to integrate itself into the downtown core. In the spirit of discovery and diversity, Bloom will take place in multiple Sudbury venues including The Grand Theatre, The Townehouse Tavern, Little Montreal, Zig’s, The Parkside Centre and other surprise venues to be announced. Keeping with NLFB’s theme of including something for everyone, Bloom 2019 has scheduled a full weekend of afternoon, evening and late-night programming. Advanced Full Weekend Passes and Headline Show Tickets are available online (www.nlfb.ca/bloom) or at local ticket outlets: A&J Home Hardware (469 Bouchard St), Old Rock (212 Minto St), and Jett Landry Music (1119 Lasalle Blvd). Full Weekend Passes are $60 and Headliner Show tickets featuring Shad, Bombino and Battle of Santiago are $35. 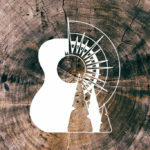 The annual Meltdown Competition is an event where emerging artists from Northern Ontario compete for their chance to play a paid gig at Northern Lights Festival Boréal 2019 (Jul. 4-7). Each artist will have 15 minutes to impress the judges. This is an open audition with a Band and Solo categories. The public is encouraged to drop by and watch. This event is scheduled as part of our new festival, Bloom 2019! This is an excellent opportunity for emerging Northern Ontario artists to gain valuable exposure, and perform their best music in a fun environment! Past winners have included Hello Holiday, Spencer Jose, The Keyframes, and Patricia Cano. Applications are now open. NLFB will be partnering with downtown restaurants to participate in the “Bloom Dining Club.” Restaurants will provide Bloom Weekend Pass holders with a dine-in discount for the weekend of March 8-10. If restaurants are interested in participating, please contact Izzy at marketing@nlfb.ca.